Cart2Cart does not stop to surprise and please its users. Our service becomes even more powerful and provides a new possibilities for one of the powerful shopping carts on e-Commerce market . Now you are able to perform switch from/to OpenCart with multi-store function for all versions of the platform, including 2.0. So, now there is a chance to save your time and energy with extended options offered by Cart2Cart service! As usual our service with the customers in mind has presented a portion of novelties to make your migrations more functional and easier. 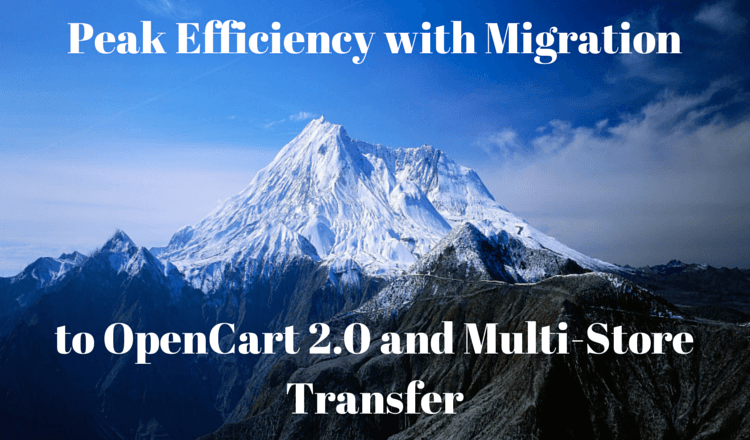 Now you can migrate from/to OpenCart with multiple stores created at ease. Don’t forget that transfer appears to be effortless to perform even with no technical skills. Don’t miss an opportunity to use this beneficial option. All-in-one admin panel. You can manage all the information concerning products, customers and orders for each of the plenty stores through the only dashboard. Unique design. Several web stores can look completely different, because you have a chance to choose the template and customize theme for every shop as desired. Unlimited amount of stores. You can set up and use not two or not even three shops, but as many as needed. Product prices. There is an opportunity to set up different costs for the same product of each shop. Being a free open-source e-Commerce solution, OpenCart offers a large number of plugins, flexibility and easy customization. Furthermore, it is in constant development to satisfy the needs of even the most demanding users. As the result, OpenCart has released more than 45 versions, and all of them are supported by Cart2Cart. A newest version of OpenCart 2.0 has been finally released. It comes with a responsive and intuitive back and front end including built Bootstrap. Also, there were added even more payment gateways. Now you can enjoy a new OpenCart with clear and stylish outlook of default theme and improved navigation. As the next advantage version 2.0 has a new extension installer that simplifies the modules set up. The final major update comes in the form of a notification button on the new admin panel. It shows admins product stock shortages, reviews awaiting approval, and a plenty of other important events. So, outrun your competitors and migrate to OpenCart 2.0 with Cart2Cart!